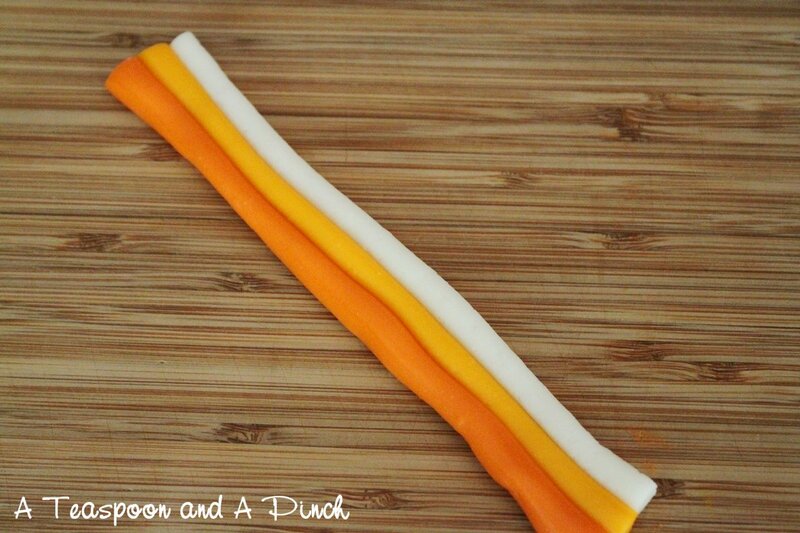 - I gave up trying to flatten my "ribbons" of candy corn into a triangular wedge. It was much easier just to flatten the whole strip a bit to make them smooth, and then cut into flat triangles by angling my knife. 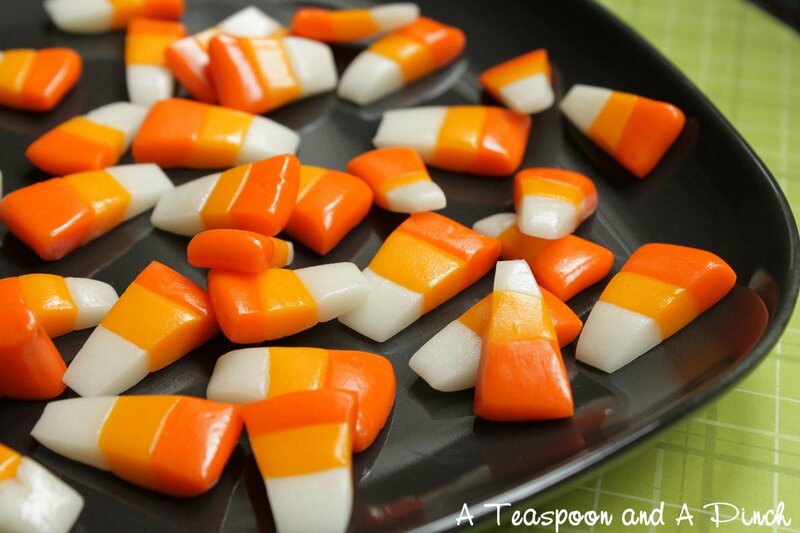 Sure, every other candy corn piece was reversed colors with white on the bottom, but is anyone really going to complain when it's completely homemade? I certainly hope not. - I used the end pieces and scraps from my "ribbons" to squish into a flat piece and cut out with tiny cookie cutters. 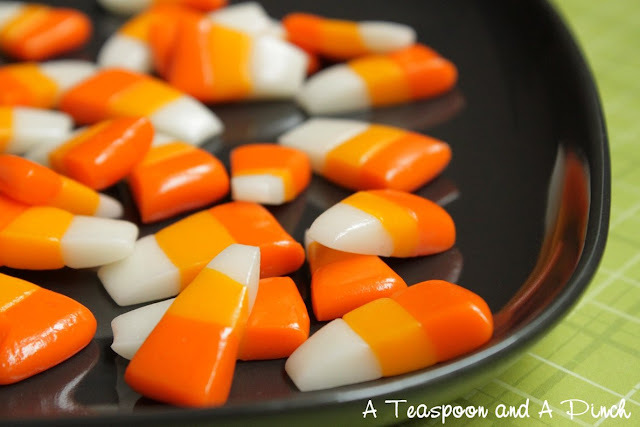 I ended up with some Halloween themed little hearts that are just too adorable! 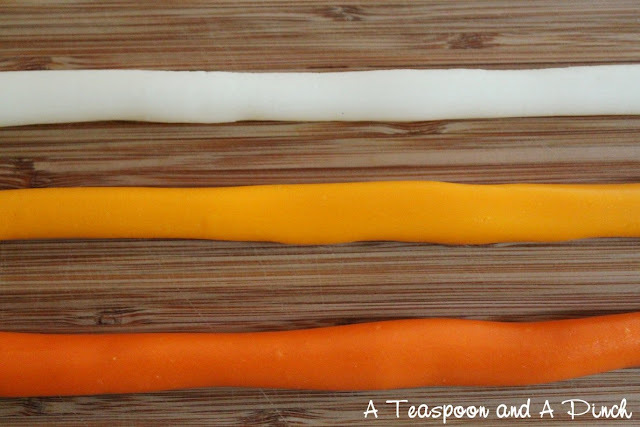 Roll each piece of dough into a strand about 18" long. 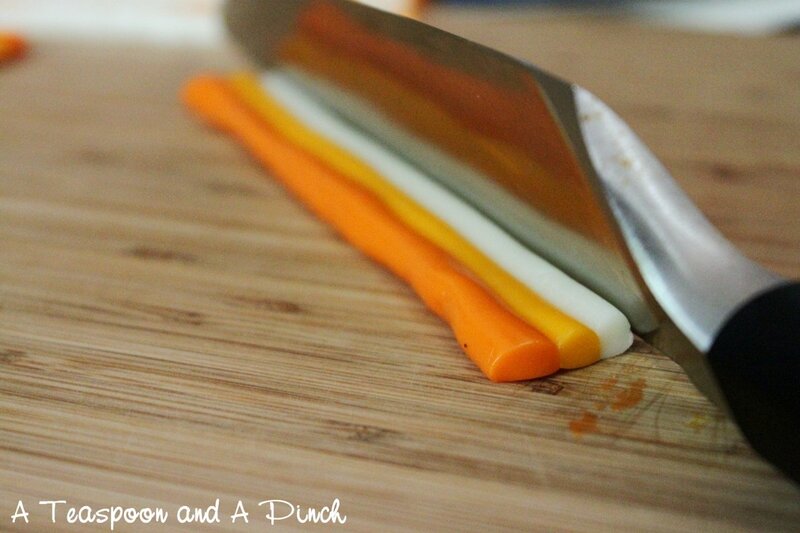 Cut each strand in half and roll each piece into a strand that is about 1/2" thick and 18" long. 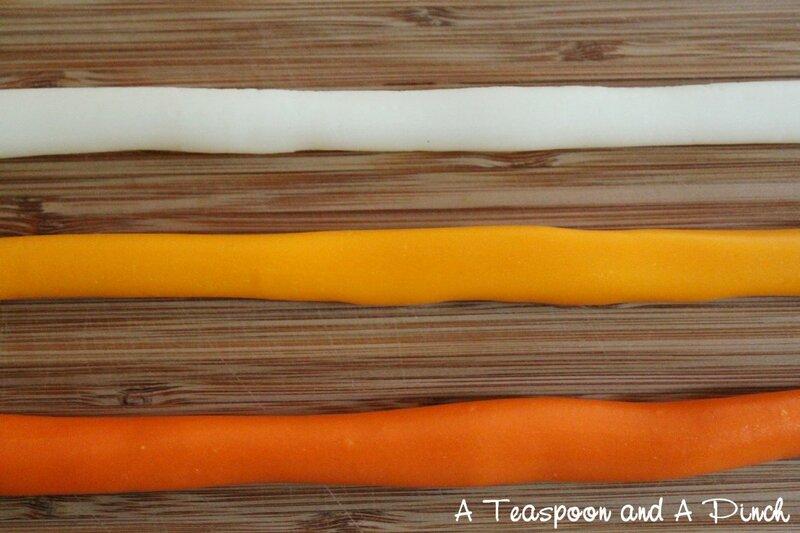 Lay the strands side by side (orange, yellow, then white) and press them together using your fingers. Cut into 4" pieces. Then, using a ruler or bench scraper, press each piece into a wedge, keeping the orange section wide and making the white part come to a tip. 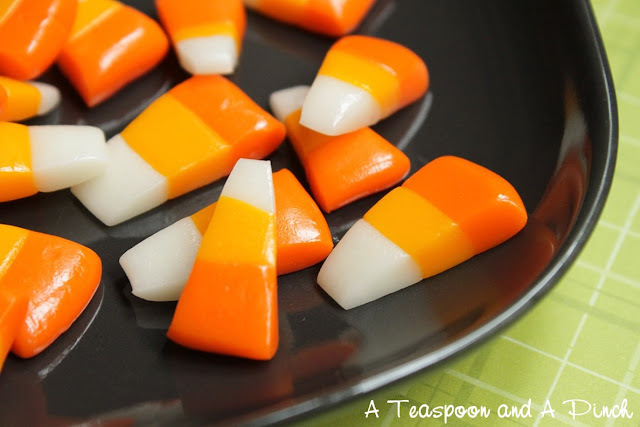 Use a knife, bench scraper or pizza cutter to cut each wedge into individual candies. Lay the candies on a piece of parchment until dry, at least 1 hour. Store in an airtight container with parchment between each layer. Makes 80 to 100 pieces. I have to say that that is amazing! How cute is this? What a great post! 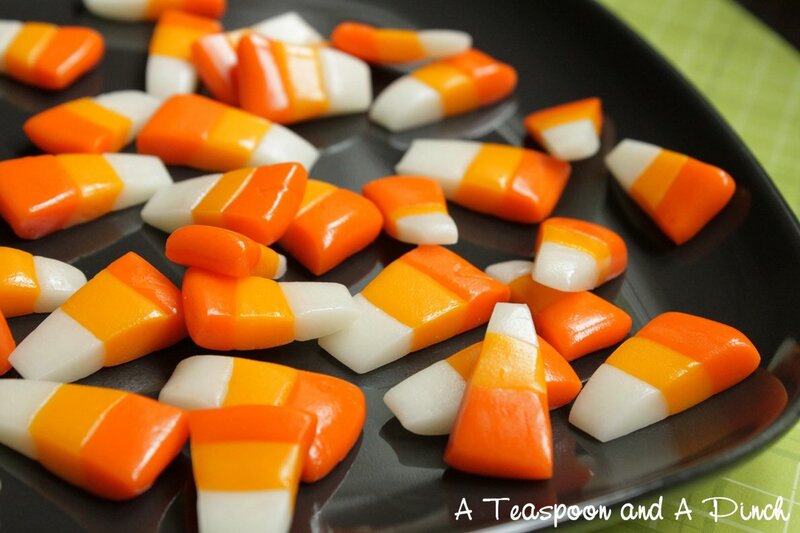 I have a friend that loves all things candy corn and I sent her this link. I am going to have to try this! Thank you for sharing. Great pictures too! 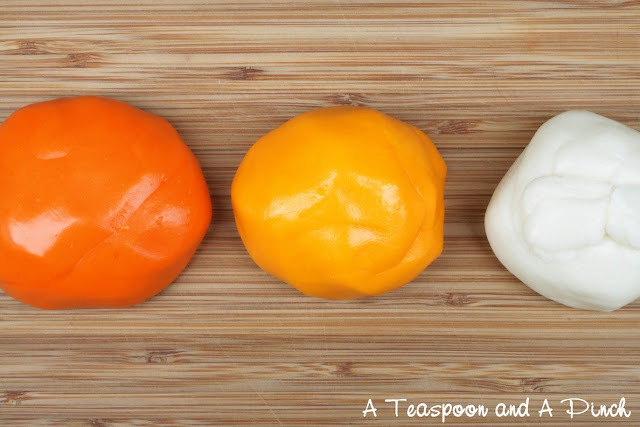 I just tried making this, stright from Mr. Brown's website, followed the instructions precisely and ended up with a runny mess. So disappointed. :-( I'm in Louisiana, so I'm guessing the humidity messed something up in the process. I really wanted to do this since it was a project with my 6 yo son.